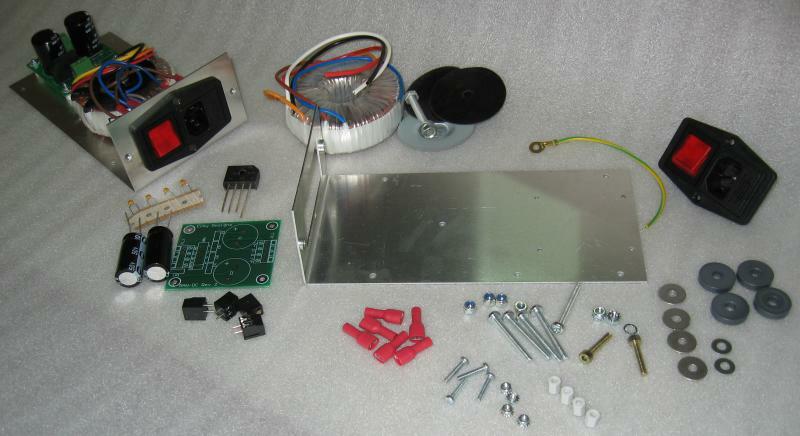 A complete kit of parts to build an AC to DC power module. The toroidal transformer has dual primary windings making it suitable for use in countries with 115VAC or 230VAC supplies. The pre-regulator circuit provides a filtered DC output suitable for driving regulator supplies such as that on our ASM-2. A selection of transformers allow for a range of nominal DC output voltages and current ratings. the building and use of this module.